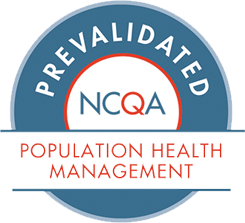 Risk stratification is critical for successful population health management. However, traditional claims-based risk models have inherent limitations. They can simply fail to identify certain high-risk patients, omit crucial details, and overlook key risk drivers. For healthcare organizations seeking to improve outcomes and optimize efficiencies, this means missing important intervention opportunities and less effective and efficient overall care management. Download this brochure to learn how Jiva™ Predictive Analytics (JPA) from ZeOmega® can help improve care and lower costs by better identifying and managing at-risk individuals. It goes beyond risk scores and claims information. It analyzes clinical, socioeconomic, behavioral, and lifestyle data to reveal the actual drivers putting people at risk and helps determine the best way to intervene. And it delivers it all directly into workflows based on easily configurable rules. Please complete the information below to download a copy of ZeOmega’s Predictive Analytics brochure.